Summer is coming which simply means that owners are looking to further accentuate the exterior looks of their vehicles. 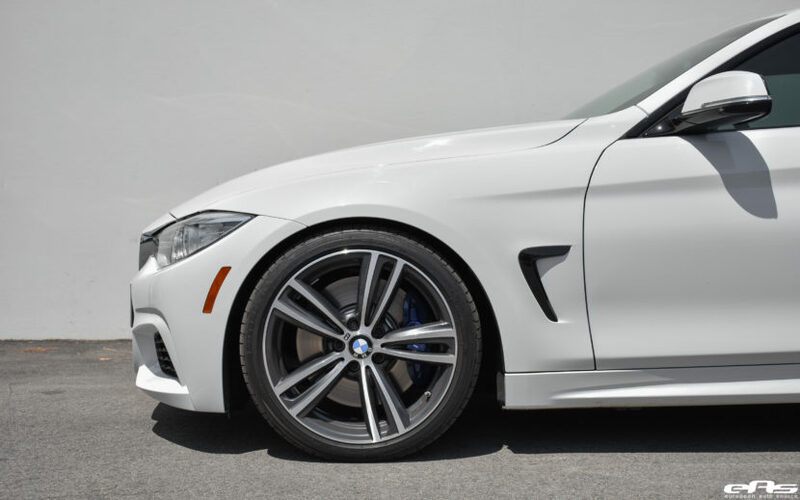 Since the BMW 435i is an already appealing sports car, there are only a few subtle touches that could be added to further improve the looks of this gorgeous coupe. With Alpine White, as the finish chosen by the owner, some stylish carbon fiber parts and cosmetic touches are needed, all in order to create a classy contrasting look for this vehicle. Furthermore, the owner also chose to improve the vehicle’s exhaust note as well. 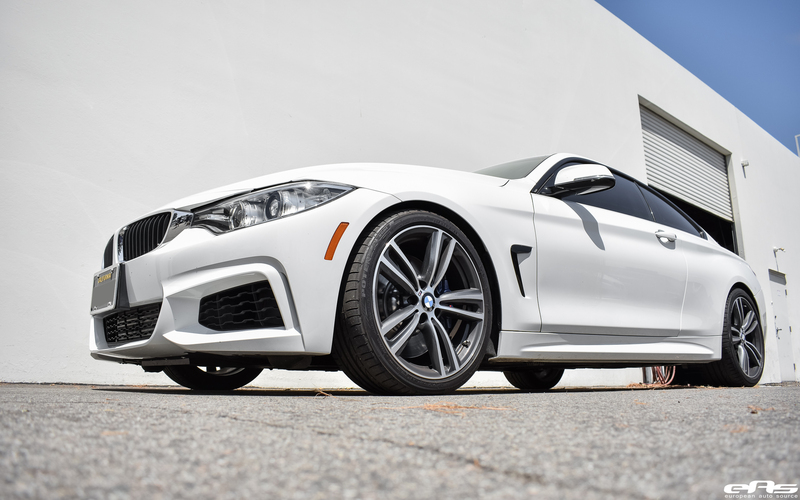 The BMW 435i is powered by a 3.0-liter BMW TwinPower Turbo engine, developing 300 horsepower. The award-winning engine combines a twin-scroll turbocharger with variable valve control (Double-VANOS and Valvetronic) and high-precision direct injection, allowing for a smooth and efficient power delivery. Thanks to the engine being mated to an 8-speed Sport Automatic transmission that comes with automatic Sport and Manual shift modes and steering wheel-mounted paddle shifters, the 435i Coupe is simply one of the most fun BMWs you can drive today. 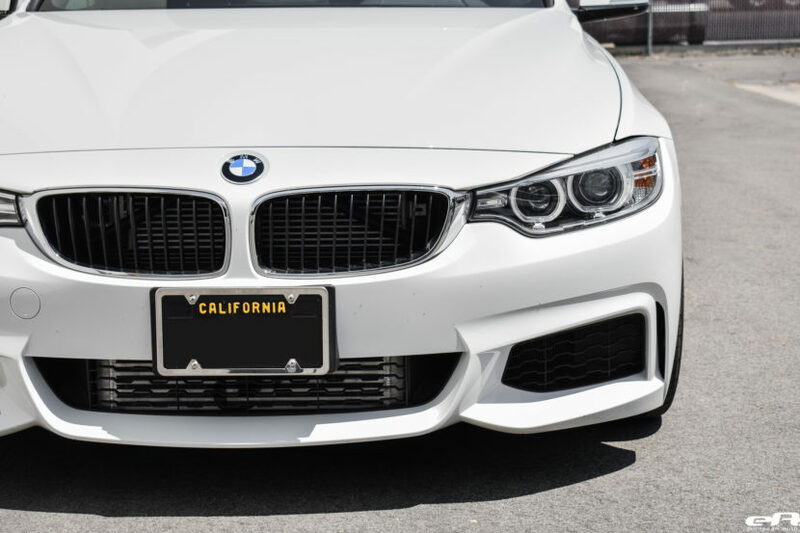 When modding parts are concerned, this Alpine White 435i benefits from an M Performance rear diffuser and a Macht Schnell spacer kit. The Macht Schnell Competition Wheel Spacer kit comes in sizes of 15mm and 12mm in the front and rear, respectively. When installed, the spacers allow for a much wider and more flush to the fenders stance for the 4 Series Coupe. After the visual upgrades were added, it was time to somewhat improve its performance and sound exhaust note. An M Performance exhaust system was installed, improving the engine sound, the throttle response and adding a bit more horsepower and torque overall. Next on the list was the addition of a Dinan carbon fiber cold air intake and a high-performance dual core intercooler, providing additional cooling capabilities and adding more power to the engine. Now this Alpine White BMW 435i looks and sounds a lot better, giving the owner plenty of prying eyes anywhere he takes it this summer. The work on this BMW 435i was done by European Auto Source and showcases how a perfectly executed build should look like. Check out the gallery of this project right below.